at least 2 HIP HI-SCHOOL PACKS. A special collection for teen readers! The HIP HI-SCHOOL Pack is a discounted collection of 12 novels geared to students in senior high school who are reading below grade level. 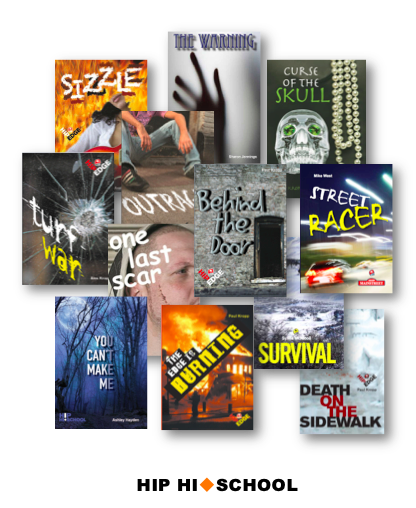 Formerly part of the HIP EDGE and HIP MAINSTREET collections, these novels contain compelling stories on a range of real-life topics and controversial issues such as arson, teen pregnancy, gang violence and trouble with the law.